QR Codes are popular in major countries like US, UK, Australia, Canada, and India. And their popularity is soaring everyday. But, one country where QR Codes hold a primary spot, is China. The credit for making QR Codes popular in China goes to both Tencent and Alibaba. Their apps, WeChat and Alipay catapulted the popularity of these 2D barcodes. From using QR Codes to add friends, make payments, and fight counterfeiting, these companies have widely promoted QR Codes. Similarly, a QR Code field spread across 12 acres of land was formed in Xilinshui in 2017. 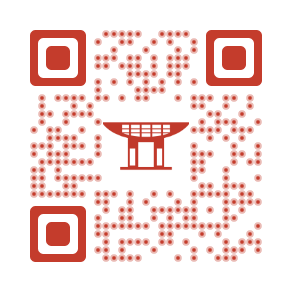 The QR Code when scanned, redirected people to Xilinshui’s official Chinese tourism page on WeChat. QR Codes are an integral part of the Chinese cashless payment system. In 2016 alone, mobile transactions in China amounted to a whopping 50 times of US transactions that stood at US$112 billion. Launched in 2004, Alipay is a digital wallet developed by the Alibaba Group. 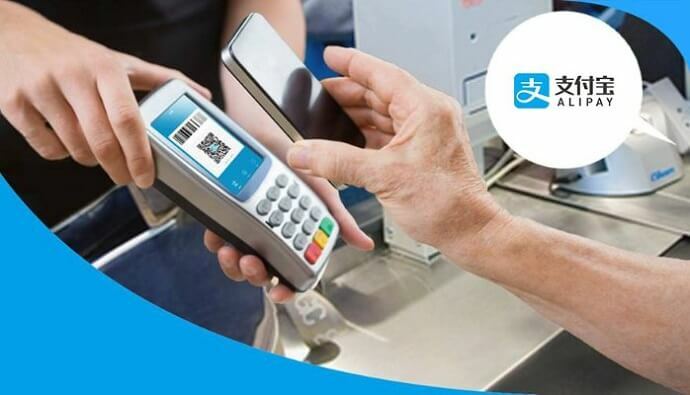 Since 2014, Alipay is ‘world’s largest mobile and online payments platform’. The Chinese digital wallet allows users to make cashless payments using QR Codes. To set up an account, the user has to link their debit/credit card details to their Alipay wallet app. To make a payment, the user has to scan a merchant’s Alipay QR Code. The amount is deducted from the user’s account linked to their cards. Alipay’s services to their Chinese users isn’t restricted to China. In 2016, the Body Shop in London displayed Alipay QR Codes to help Chinese customers shop with ease. Globally, WeChat is known as a popular instant messaging app. But in China, it also doubles as a digital wallet. WeChat, known as Wēixìn in China is a product of Tencent Holdings. Both the features of WeChat—payments and instant messaging— use QR Codes. With the WeChat QR Codes, users can add friends to their WeChat list. Wechat also allows users to make cashless payments using QR Codes. To make a payment, the user can generate a QR Code on their WeChat app and get it scanned at the checkout counter. In 2016, popular coffee chain, Starbucks, adopted his method of payment. Now 2,500 Chinese Starbucks outlets across China accept payments via WeChat. 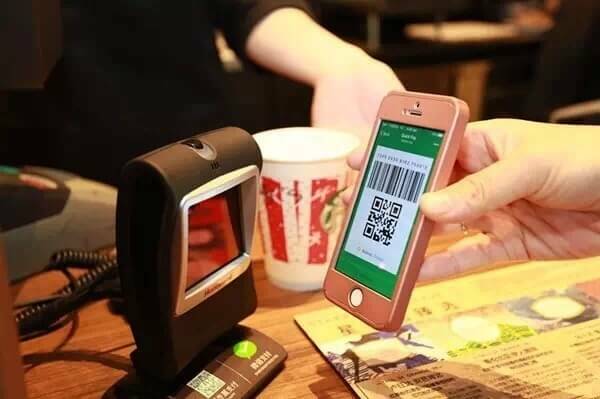 The other way to make a payment using WeChat wallet is by scanning a merchant’s WeChat QR Code using the WeChat app. Also see why China’s Central Bank officially lifted QR Code payments. 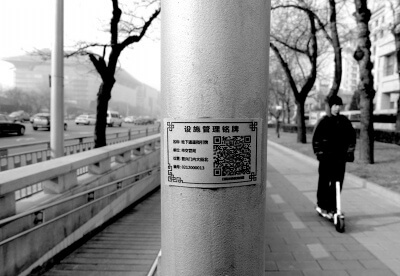 In 2016, the city administration in Beijing added QR Codes on lampposts and bus stations. Scanning the QR Code on the lamppost allowed people to request its inspection or register complaints. The QR Codes on the bus stop lead to a webpage with details of the scheduled rides. 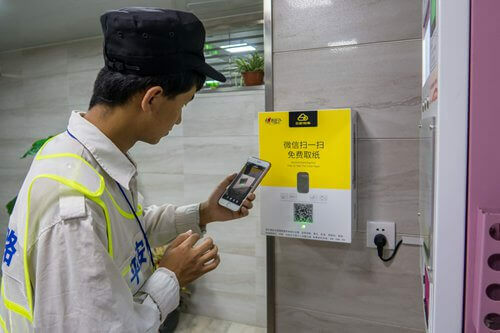 By the end of 2016, 1,110 facilities in Beijing bore a QR Code and the administration received close to 1,800 reports. In Hangzhou, Shiba Street community has developed an ‘Intelligent Garbage Disposal’ system. The residents of the city receive two garbage disposal bags for food waste and other waste. These bags comes with a QR Code. The garbage collection point has two separate doors for food waste and other waste. Residents can scan the QR Code on the bag using the scanner built in the wall of the collection point. The scanner recognises the type of waste and opens the designated door. The garbage disposal bags are unique to each house. Residents with most correct disposals can earn ‘green points’. The points allow them to gain discounts at select supermarkets in the area. In 2015, at a car exhibition in Shanghai, models wore t-shirts bearing QR Codes. These QR Codes linked to more information on the event. 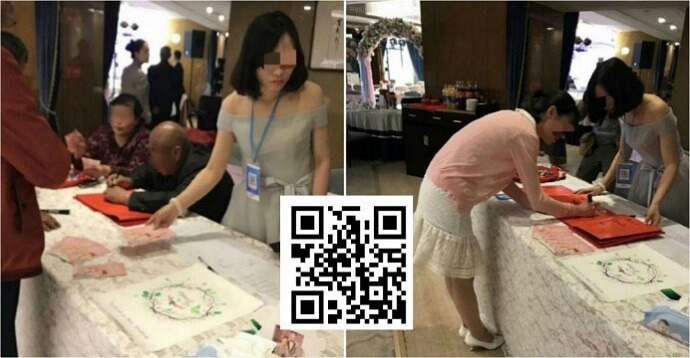 Similarly in 2013, in an automobile exhibition held in Zhengzhou, China, a model displayed a QR Code on her back. Scanning the QR Code directed people to a webpage listing the car’s features. In 2017, China had set a new world record by forming a 51 meter long and 51 meter wide human QR Code. 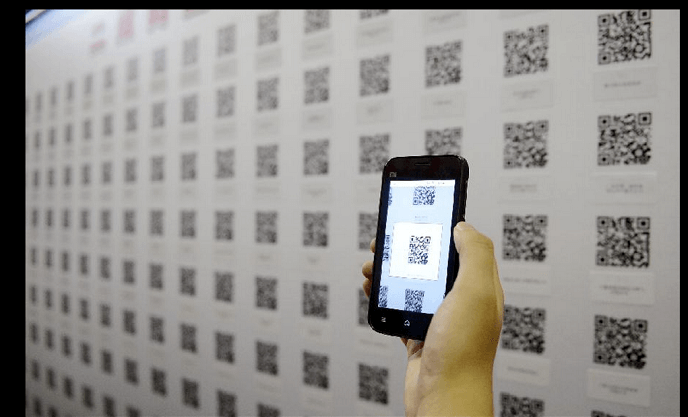 At a job fair held in 2012, in Ningxia Hui, the host added QR Codes across various sections in the event. Applicants could scan the QR Code to search and apply for jobs. 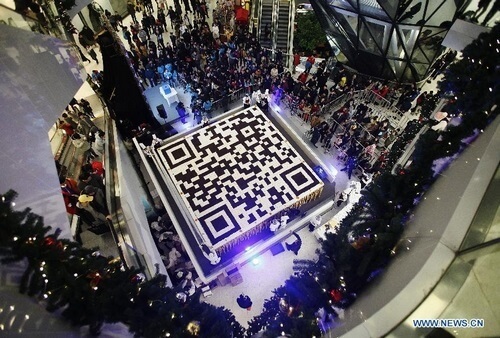 On New year’s eve in 2012, Tencent group displayed a giant QR Code cake at a mall in Beijing. The cake covered 36 square meters and weighed 3 tons. Scanning the QR Code cake led to Tencent’s News App. Mobike is a Chinese bicycle-sharing system. Its launch in 2016, brought about a more convenient way of renting cycles in China. 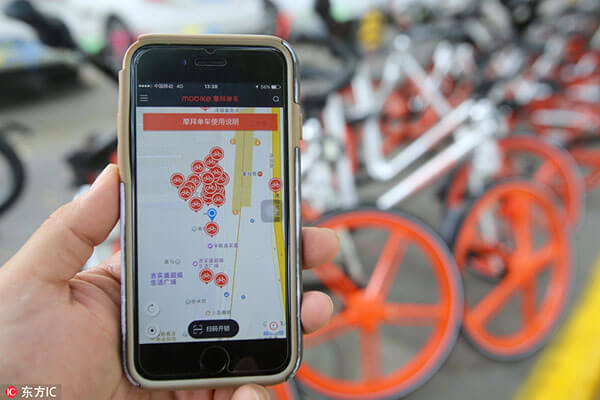 Mobike uses QR Codes to allow riders to hire bikes using GPS locations, pretty much like Uber. Similar to Mobike, Ofo bike is another Chinese bike rental service. The HaiDiLao Hot Pot restaurant in China has QR Codes displayed on the queue number slip. Customers can scan this QR Code to download their mobile app and place an order online. The restaurant staff also bear a QR Code badge. Customers can scan the QR Code to tip their server. 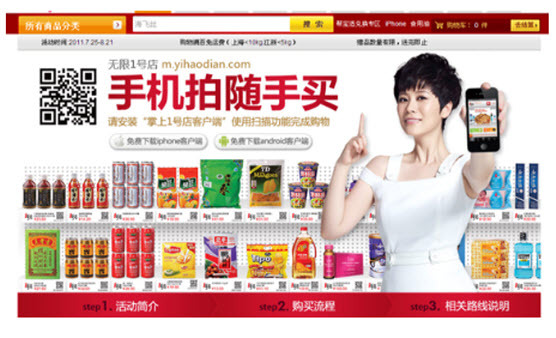 In 2012, Yihaodian, an online grocery marketplace launched 1,000 virtual stores in China. 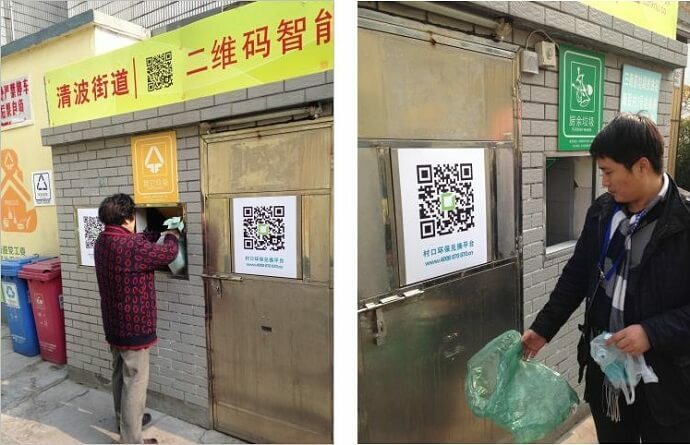 Called ‘Unlimited Yihaodian’, these stores use QR Codes to help people place an order. Each product on the virtual store bears a QR Code. Scanning the QR Code adds the product to the shopper’s virtual cart. The shopper can make an online payment to complete the checkout process. The order is then delivered to the shopper’s home. 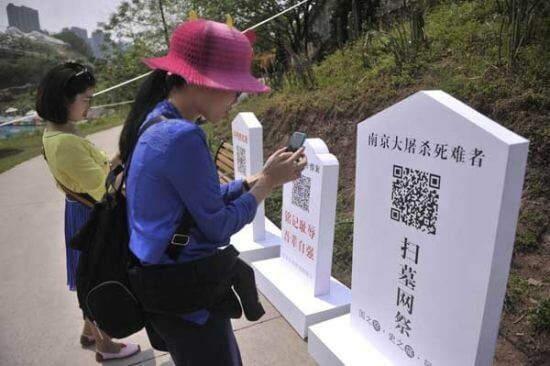 As a way to remember a deceased loved one, Chinese add a QR Code to the head stone. Scanning the QR Code will lead to a webpage with stories, pictures, and videos, of the deceased. The Shengjiang cemeteries were the first to adopt this trend back in 2013. In 2016, the Shanghai port authority system implemented a QR Code Visa process. 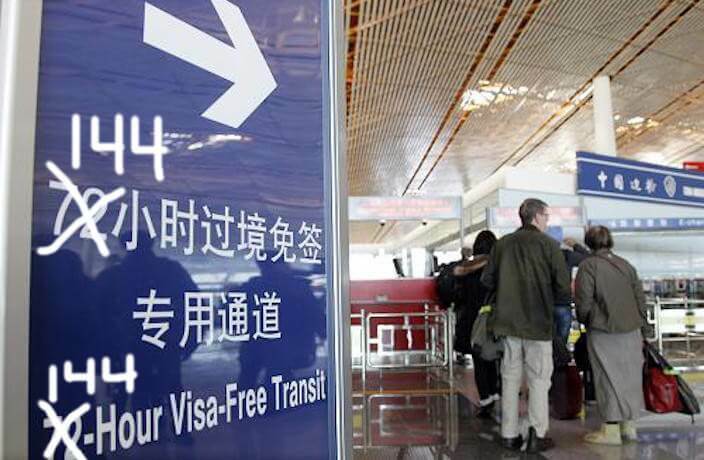 As part of this process, visitors are given 144-hour visa-free transit QR Code sticker. 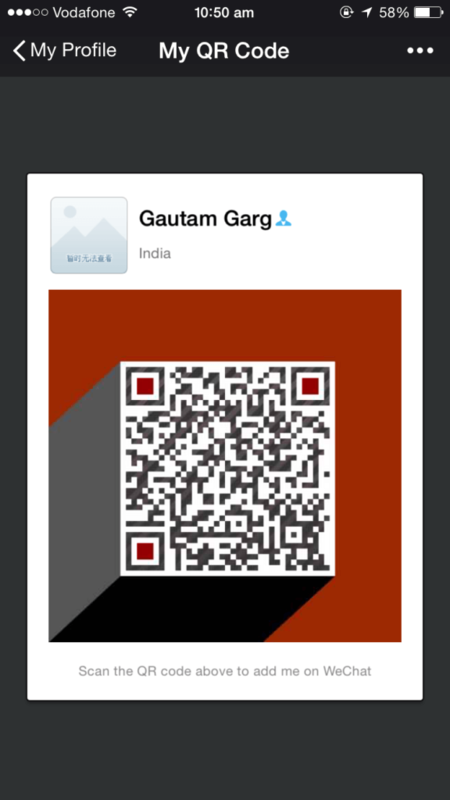 The QR Code links to the passenger’s ID details. Besides acting as a visa, the QR Code also helps passengers book hotels. 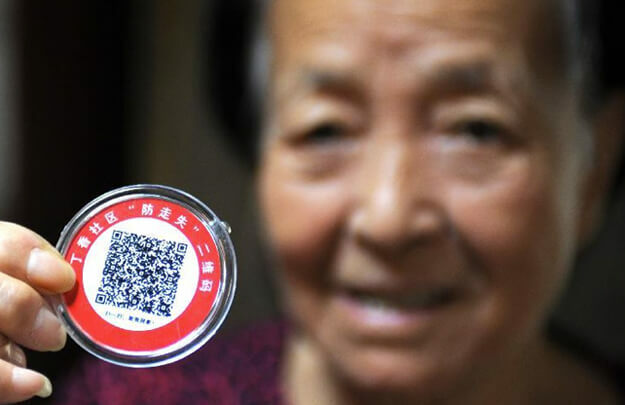 In 2014, Dingxiang Community in Hefei City issued QR Code badges to over 1,400 senior citizens in the city. The QR Code badge links to details such as the senior citizen’s, name, address, and contact number. In case they wander off, people can scan the QR Code and guide them back to their home. “I’ll wear it every time I go out. A big headache for us old people is wandering off.” – Qiao Zonglian, 84 year old badge user. The above examples make the popularity of QR Codes in China evident. But, it isn’t restricted to just Chinese marketers or businesses. To indulge Chinese customers, countries exporting their produce to China use QR Codes. 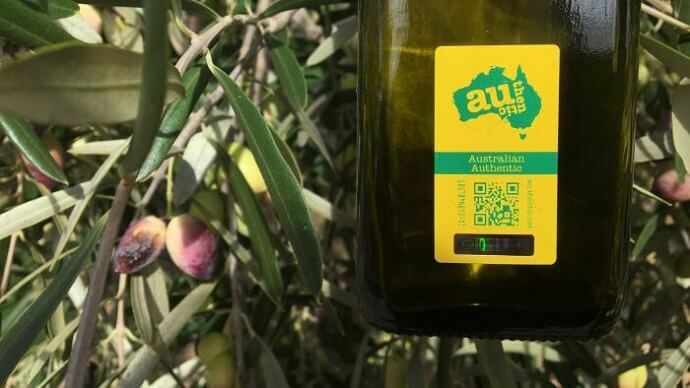 In 2016, an Australian Olive Oil producer added QR Codes to the Olive Oil bottles exported to China. Scanning the bottle helps the customer authenticate the product. For marketers based out of China, QR Codes are still your best bet to improve customer engagement. Why let language be a barrier and restrict the growth of your business? Simply link a video or infographic to the QR Code on your marketing material and engage your audience.